MIAMI (September 20, 2018) — The Latin Recording Academy® has announced the nominees for the 19th Annual Latin GRAMMY Awards®, the preeminent international honor for excellence in Latin music and the only peer-presented Latin music accolade. The nominees include a diverse group of established artists and newcomers. 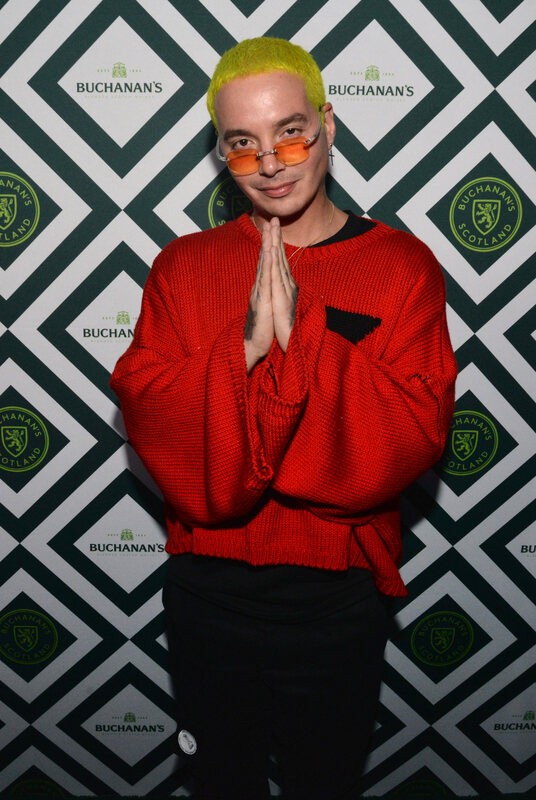 Leading the list is J Balvin with eight nominations, followed by Rosalía with five. In addition to the top nominees, several artists and producers received four nominations each including, El David Aguilar, Jorge Drexler, Kany García, and Natalia Lafourcade, along with producers Mauricio Rengifo and Andrés Torres. The Album Of The Year list is composed of a diverse group of established and new artists, genres, and eclectic collaborations, such as Pablo Alborán (Prometo), J Balvin (Vibras), Chico Buarque (Caravanas), Jorge Drexler (Salvavidas de Hielo), El David Aguilar (Siguiente), Kany García (Soy Yo), Natalia Lafourcade (Musas, Un Homenaje Al Folclore Latinoamericano En Manos De Los Macorinos,Vol.2), Luis Miguel (¡México Por Siempre! ), Monsieur Periné (Encanto Tropical), and Rozalén (Cuando el Río Suena…). The Latin GRAMMY Awards are voted on by The Latin Recording Academy’s international membership body of music makers, who represent all genres and creative disciplines, including recording artists, songwriters, musicians, producers, and mixing and studio engineers. The 2018 nominees were selected from nearly 14,000 submissions across 49 categories during the eligibility period (June 1, 2017 through May 31, 2018). Voting members will begin the final round of online voting on September 28, 2018. Winners will be revealed on November 15, 2018, during the 19th Annual Latin GRAMMY Awards’ Premiere and telecast ceremonies in Las Vegas. The telecast will broadcast live from the MGM Grand Garden Arena on the Univision Network from 8–11 p.m. ET (5–8 p.m. PT). Following is a list of the nominations in some of the 49 categories. They feature an array of musical genres, as well as some of the most prominent names and brightest newcomers in Latin music. For the complete list of nominees, please visit LatinGRAMMY.com. Disclaimer: This release has been prepared with label copy information and recordings provided by labels and Academy members. There may still be minor adjustments when The Latin Academy reviews evidence of need for changes, corrections, or modifications. For more information and the latest news, please visit the official Latin Recording Academy website at LatinGRAMMY.com. Follow us on Facebook (LatinGRAMMYs), Twitter (@LatinGRAMMYs) or Instagram (@LatinGRAMMYs). Use #LatinGRAMMY on your favorite social media platform. The media credentialing process to cover the 19th Annual Latin GRAMMY Awards is open. Please visit www.latingrammy.com/en/press. The deadline to apply is October 3, 2018, at 9 p.m. ET (6 p.m. PT). The Latin Recording Academy is an international, membership-based organization and comprises Spanish- and Portuguese-speaking recording artists, musicians, songwriters, producers and other creative and technical recording professionals. The organization is dedicated to improving the quality of life and cultural condition for Latin music and its makers. In addition to producing the Latin GRAMMY Awards to honor excellence in the recorded arts and sciences, The Latin Recording Academy provides educational and outreach programs for the Latin music community either directly or through its Latin GRAMMY Cultural Foundation®. For more information about The Latin Recording Academy, please visit LatinGRAMMY.com. For breaking news and exclusive content, follow us at: Twitter, Facebook, Instagram, Vine, Periscope, YouTube, Pinterest, and Google+.